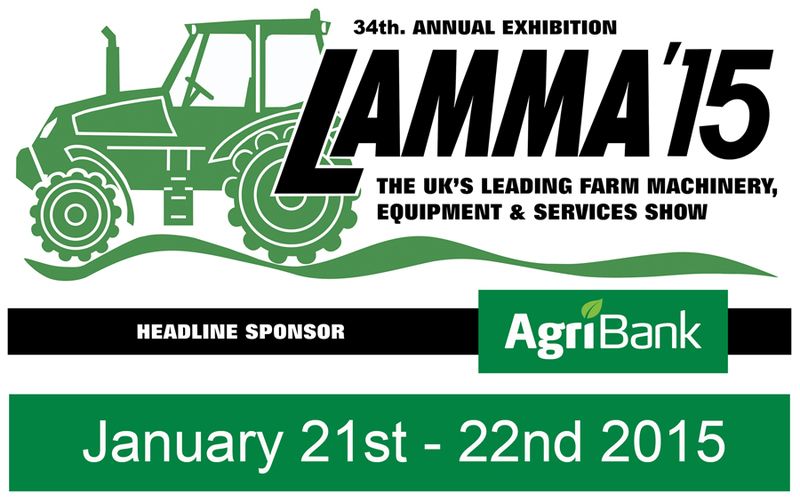 Lamma, the UK’s largest farm machinery, equipment and agricultural services show will be hosted at Peterborough showground, 21 & 22 January 2015. With over 900 exhibitors and regularly attracting over 40,000 farmers from around the country and overseas, Datatag will be exhibiting at this inaugural event for the sixth year running. Datatag ID limited the power behind the official CESAR scheme; the essential security system for all farming and construction machinery and equipment has made advanced progress since its launch in 2007 with all major manufacturers now fitting CESAR as standard and reading as veritable who’s who of suppliers. CESAR, which is industry supported by the AEA, works by giving each piece of equipment a unique and permanent ‘fingerprint’, using an array of convert and overt security marking devices including tamper evident triangular registration plates, radio frequency identification (RFID) transponders, forensic liquid DNA, and microscopic Datadots®. The ‘CESAR effect’ has reduced overall equipment theft in the UK by 46%, increased the rate of recovery of stolen equipment by a factor of 6, and helped reduce insurance premiums on equipment. According to police statistics CESAR registered machines are 4 times less likely to be stolen and 6 times more likely to be recovered than unregistered machines. CESAR is widely supported by government agencies, trade associations, leading insurers and the asset finance industry as it is a proven deterrent against theft and an invaluable aid in recovery. NFU (National Farmers Union) members also benefit from CESAR with discounted prices of up to 25% and insurance premium discounts are also available from all major insurance companies including NFU mutual on items protected by CESAR including tractors, telescopic handlers and combine harvesters. PANIU (The Plant and Agriculture intelligence unit) which was set up with insurance industry support has also issued latest reports which highlight the good work done by CESAR. JCB is a great example of what has been achieved as it shows their theft is down by 60% in the last three years thanks to this credible anti-theft system, and according to PANIU only five JCB’s fitted with CESAR and thatcham three stars has been stolen in the last 18 months. 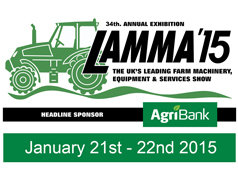 Lamma 2015 is set to kick off another exciting year for Datatag, with more overseas recognition since the expansion into Europe and new technologies also set to be established such as the new anti-fuel theft initiative, Venom. The new anti-fuel theft initiative was launched at the Combined Industries theft solutions conference at the impressive JCB headquarters in Staffordshire on the 12th November 2014. The annual CITS forum which was under the title, “Scams that trash your bottom line” had a great line up of key speakers including Government and police officials and industry experts Amongst the presenters was the power behind CESAR, Datatag MD Kevin Howells who gave his impressive presentation about the achievements of CESAR since the launch back in November 2007, when the first CESAR marked machine came of the JCB production line. Over 200 delegates attended the seventh inaugural CITS conference and exhibition.